>There is probably a book I should read somewhere in all of this. And let me know if you ever find a good way past that the orthocenter (other than just skipping the chapter, which I did one particularly frustrating year). 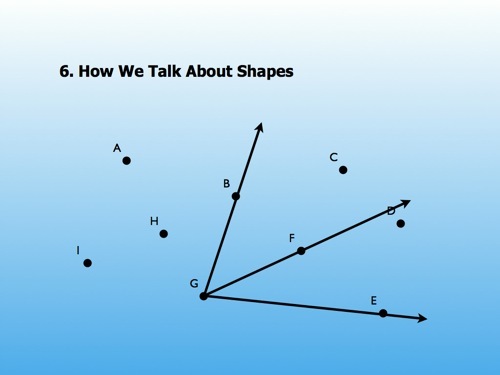 Oh yeah, that is why we label points, lines, and angles. Who knew? Not me, at least not on this surface part I use everyday. I agree, write (other than the blog (however, keep doing that too)). I have a great lesson that could be adapted to address orthocenter that my collegues and I used in our lesson study this past semester. Let me get the matterials together and get their permission to post it here. I think it will fit in well with Dan and his readership. @ Dan, What a clear way to present your point on this matter! Finally a good way to stress why naming is important! Just a thought on the orthocenter- playing with patty paper? Nothing wrong with patty paper but it’s still a fairly contrived motivator for the orthocenter. Today, we talked about building a fire station equidistant between three Montana towns (motivating circumcenter) and watering a triangular lawn using a radial sprinkler without wasting water (motivating incenter). I can’t seem to make that happen for the orthocenter, though. I just looked up orthocenter and patty paper. Instead of looking for the real world connection, can you look for what it’s good for? Why do we (mathematicians) care about it? 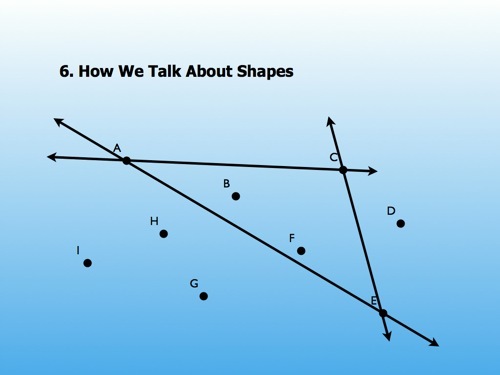 If there’s no good reason, but it’s just another cool connection, because the 3 altitudes are guaranteed to meet in one point, maybe just make it something extra for students who want a challenge? Once again, you have nailed it. Showing kids why they need what you have to teach them. Now, if only I can better figure out how to think like this in foreign languages and social studies. 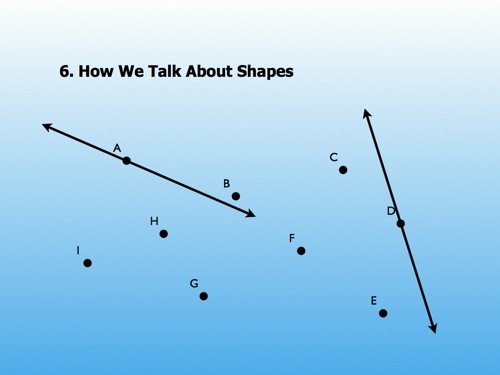 There is a game we play in math clubs that is related – maybe you’ll find it useful. It is played in pairs. One person draws… well, anything, but I usually put a really short time limit on it (say, count to ten). The other person is facing the other way. The first person explains what to draw, and the second draws. It sounds simple, but there is SO MUCH geometric vocabulary that either comes in right away, or is appreciated when offered because it’s hard to do without. There is a commercial game with a set of pre-made cards for it, but kids like to create their own pictures. The creation process is a part of the feedback loop with the drawing process. I like the idea of asking how far away Tom and Bob are. 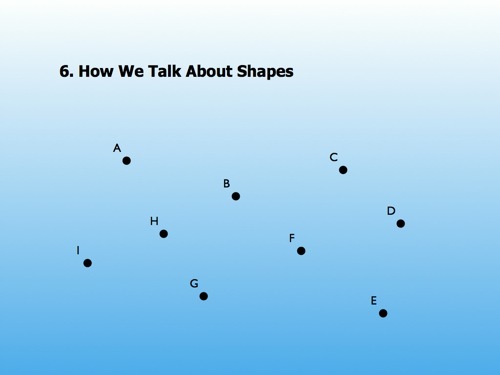 You start to get the students thinking about where other points may be but in discussion did you get them to remark on where all of those points fell? 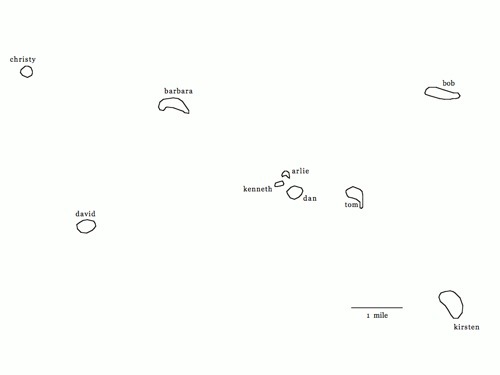 You might be able to do some cool work leading in conic sections by first asking about two islands and then leading to all points that are equidistant from a straight shore to an island. There’s got to be a cool way to continue this path of thinking to make all of the conic sections. Maybe a better but similar idea? I like how your lesson opened up and how you got them to realize and identify the need to label points. It sure helps in giving directions. I had summer school too and it was my first time doing it and thought what will I do teaching algebra 1 to high school students for 5 hours, with only two ten minute breaks? We started out with coordinates and I had them play connect four using power point. They thoroughly enjoyed playing the game, they learnt strategy, and that they really need to call the x-value before the y.
I had fun too. For the rest of the three weeks we really enjoyed math, but then I did a lot of things differently rather than just doing different things. I love technology and the way it can be used in the class, but I too need to learn a lot more. Just a quick thought on the circumcentre/orthocentre – whenever i’ve talked about this we’ve looked at in terms of catching a criminal through cell phone triangulation and GPS signals – not sure it’s a perfect explanation, but it’s something. Lorna, I’d love to hear more about what you did in that class. I just downloaded a coordinate grid and cut and paste it into power point. I divided the class into four groups and they had to choose a leader. The leader alone could give the coordinate. If they called a coordinate already on the grid, they would loose their turn. If any team helped anther team they would loose their turn. It was just fun to see them working together. At first they were only focused on getting their four points in a diagonal, horizontal, or vertical, only to realize that they were not blocking the others. They became quite competitive. Oh I also used the highlighter tool when the power point is in presentation mode to mark their coordinates in different colors. Thats it. Hope it helps. Cool idea to hook kids. Definitely going to use it in September with my students. Thanks for asking about Lorna’s Connect Four game. Thanks for explaining it. I can hardly wait to try it with my classes in September. Oh you are most welcome all. I hope your students have as much fun with it as mine did. They wanted to play it a lot and it reinforced key concepts. i’m brand new to this blogging thing, both reading and writing, but am really excited to see what you’re doing with your blog and your students and just want to THANK YOU. you are awesome. 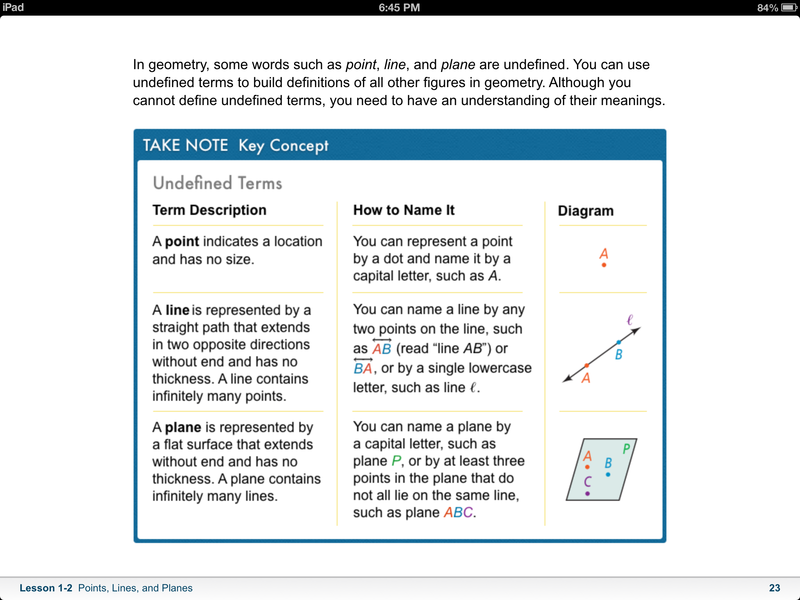 You should check out intro to geometry at http://www.artofproblemsolving.com The book starts off just as you described. Excellent books – check them out! First of all, Dan I love your blog. I have got some great ideas to use in my classroom next year. This was my favorite activity. I have always had troubles with teaching my kids the importance of naming angles correctly. This should definitely solve that problem! Thank you!! Also, Lorna, I love the four corners game! Great idea! First-time Geo teacher here. Love the slides- any chance you’d share the deck? 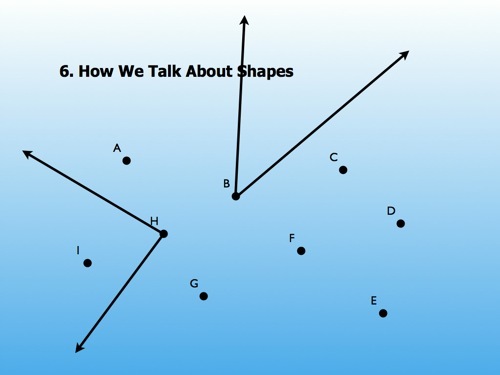 I’ve been through your geometry curriculum but didn’t see these particular ones.